265 photos in database by this submitter. 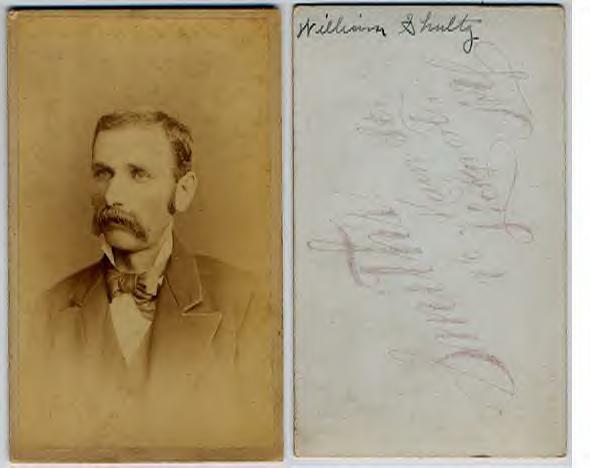 Comments: William Shultz (Nee: ) | NY | 1851-1900 | Comments: Digital Image Only- Copied off of ebay 12/25/03 - This is a CDV photo of a young man with thick, drooping mustache. He is identified on the back as, “William Shultz.” Photo was taken by Smith in Lockport, NY, ca. 1885-88. A bit of light soiling, otherwise very good condition.